This mod is very close to the official re-release. All the scenarios have been moved to separate quests. The player homes questline is finished. The non-dragonborn quest is nearing completion. Oh, wait, that's Pokemon Go. And how does one join the beta? This guys last comment was 2 years ago so i doubt I'll get an answer from him but have you guys been experiencing buggy dialogue? It keeps skipping by in a 1/10 of a sec and I can't read it without tabbing out and starting over. severely annoying. So I'm trying to use the Vampire start and I can't figure out how to start the new dialogue. I know it's installed since the shipwreck one worked fine. Help? So far I love the mod great job! 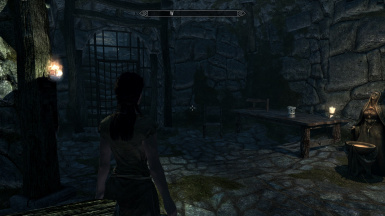 But I have a problem after seeing AnaKath in roriksteadand leveling up to level 15 she just tell me about the war and the thalmor but after that nothing happens, the quest doesn't update and I have no idea where I`m suppose to go or what to do? any help would be appreciated. I'm also stuck on that and another quest. But, eh. Guess no help is coming. I have the same issue. Cam sombebody give us the fix? Please? Oops. Never mind. Went to wrong town, picked up wrong quest. But, still, I can't find the blasted person Doren sent me to find! So, I chose "Escape this cell" and have Aren with me as of now. (Who, I must say, is for the most part useless.) I've followed the quest about my "parents" and I have now made my way to Riverwood and there's no Anakath there. I found Doren Gray, who sent me on a wild goose chase to Bleak Falls. 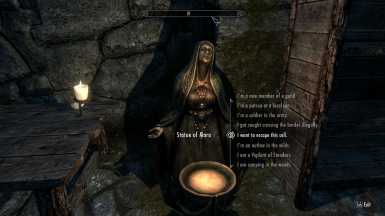 I cleared Bleak Falls, collected the Dragonstone AND the Shout, even though I chose NOT Dragonborn. But. Anakath is no where in Riverwood, nor Bleak Falls to be found. Any help would be great. Thanks. This mod overrides two scripts in USLEP, are they intended? *looks at mod* wow this would go great with College Days and that "special" add on from Loverslab - wait.... THIS IS THE SAME GUY!! Hey, are you still working on this? Is it compatible with LAL SE? yes, still working on it. Getting close(r). Not yet compatible with SE, but that's on my to-do list.